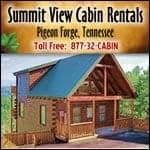 There are so many attractions to choose from in the Smoky Mountains! From miniature golf to go carts, theme parks to national parks, and everything in between, there is something for everyone to enjoy in the Smokies. Take a look at our list of great attractions in Sevierville, Gatlinburg and Pigeon Forge below!